It’s never too early to book that tent you will need for your next party or wedding. People all over are throwing events and parties to celebrate this rollercoaster called life so why not make it special by booking the perfect tent for you and your guests. 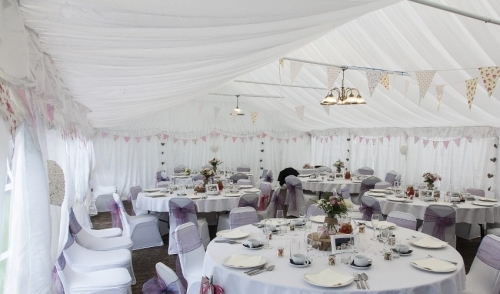 Follow this article for the best guide to the types of tents to rent for your party or wedding. First, why rent a tent in to begin with? This question has two answers. The first is because there’s no better place to have fun than outside. Outdoor parties and weddings are always the best ones because you can be outside underneath the sun or moon, create memories that will last forever, and most importantly it’s easier to fit all of your guests. The second is Murphy’s Law. Murphy’s Law basically states that ‘Anything that can go wrong, will go wrong.’ This is important to remember because if you are having an outdoor event, unless you have an alternate indoor location that can fit all of your guests, your tent serves as your contingency for bad weather. Whether it’s raining or even too hot, a tent makes it possible to throw a party rain or shine. A tent will also allow you to throw your party at a meaningful location like the college quad where you met your wife for the first time or an old family farm. There are two types of tents you should consider when shopping around at your local rental dealer. The first is the push-pole tent. Push-pole tents are one of the most popular types of tents for all large outdoor events. Push-pole tents are great because they are very affordable and work well with most surfaces, especially grass. They are easily kept in place by sticking center poles in the ground to hold the integrity of the structure. The sizes of tents can vary widely from 10 x 10 feet and up. They can also be customized with different toppers and liners if you wanted to really brave the elements. The second type of tents is frame tents. Frame tents are more often used for parties than weddings unless your guest list is pretty big. They’re best used for tight spaces and can be used on any type of surface. However, due to the complexity of the frame, these types of tents typically cost more than their push-pole counterpart. Be mindful that many rentals companies are full service meaning they will deliver and also supply chairs and tables if you need it. Always inquire about adding options to your rental deal to make the most out of your wedding or party. If you know the weather may be bad or you have elderly guest, consider renting sidewalls to go along with your tent. Sidewalls are another beneficial accessory that tent rental companies can provide at little to no cost. Sidewalls are awesome additions as they add more appeal and create more ventilation while also protecting your guest from the rain or wind. Even with its natural beauty, the outdoors can come with its share of surprises so prepare the right way by contacting your local rental tent dealer. The earlier you plan and determine the number of guests, the easier it will be to rent the tent you love so that your next wedding or party is enjoyable for everyone.